After college, I took a gap year to explore God's path for me, and I ended up teaching in Taiwan. Photos courtesy of Victor Hsiao. Victor served as a short-term missionary with TEAM in Taiwan where he partnered with a church plant and taught elementary English. He is now pursuing a medical degree in the United States. Great mission and a great calling , great work. Between college graduation and starting medical school, I took a gap year as a missionary in Taiwan. In high school, I developed a passion for missions and considered pursuing ministry full time instead of going to college. I was wisely advised, however, to attend college to better equip myself for whatever God had in store for me, long-term missions or not. During college, I was challenged to share and live out my faith in new environments where there were few Christians, such as the school swim team or my summer research internship in China. As graduation approached, I still loved missions and wanted to serve, but I had also developed a passion for medicine and wanted to be a doctor; I wasn’t sure which to pursue. So, I decided to spend a year after graduation pursuing both. 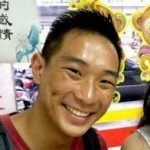 I applied to medical school and then searched for missions opportunities where I could use my ability to speak Mandarin Chinese and further explore my desire to serve Chinese-speaking people groups. Eventually, I found the right fit with TEAM and packed my bags to serve for six months in Taiwan. I partnered with a local family and a long-term missionary to help with a church plant in New Taipei City. When I first arrived, much of the work was community outreach events and classes on the weekends. Seeking to meet more local families and children, however, my team worked to find a local school for me to volunteer at as an English teacher. In the end, I found myself regularly teaching over 700 students, ranging from first to sixth grade, at a local elementary school. 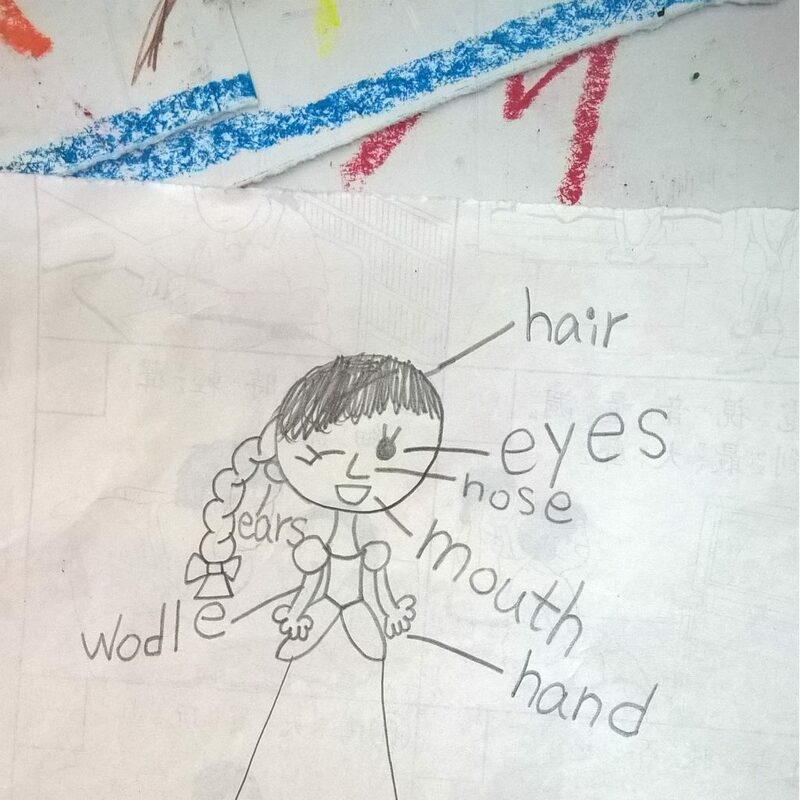 Each day I worked with elementary school students to improve their English language skills using activities like this one in which I had them draw and label different body parts. On a typical day, I would teach four to six 40-minute classes, using English curricula I created to help students practice basic English conversation skills and learn about American culture. 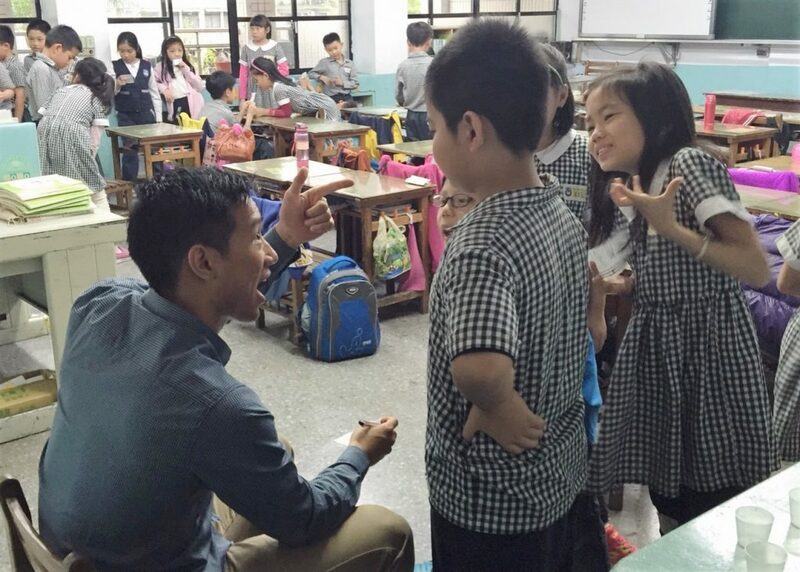 The curriculum was focused on improving my students’ English speaking and listening skills, both of which are typically weaker among Taiwanese students because of the general emphasis on reading and writing in school. The schedule was very tiring, but it was also an extremely rewarding experience as I got to meet many local children each day. Although I couldn’t share the gospel explicitly in the classroom, I found that there was an overabundance of opportunities to share God’s love with my students, especially the more mischievous ones. While I couldn’t share the gospel explicitly in the classroom, notes like this one let me know that my students saw Christ’s love in the way I interacted with them. Within a few weeks, I also discovered that how I interacted with my students allowed me to be a light and witness not only to my students but also to their parents and teachers. Teachers or parents would sometimes come and tell me how they appreciated the time and effort I spent on each of my students, especially those who were struggling academically. I had opportunities to share my faith more explicitly when I was asked by these teachers and parents about my motivations and reasons for coming to Taiwan. Before the semester ended, I invited my students to a summer camp nearby that my team and I were hosting. I was amazed to see that around 10 students attended our camp and, thus, had the chance to hear the gospel. It was a joy to watch my students grow in their English skills and in their confidence over the semester. 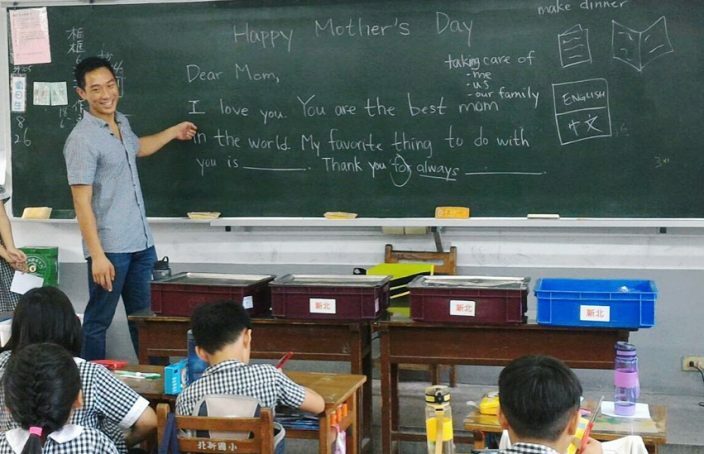 For me, being an English teacher meant that I needed to make sure my students learned some of their basic ABCs and English conversation skills. But more importantly, I hoped to shape each of my students into becoming more like the boys and girls God created them to be, regardless of whether they followed him. I look forward to seeing how God will continue to grow them as their new school year begins. 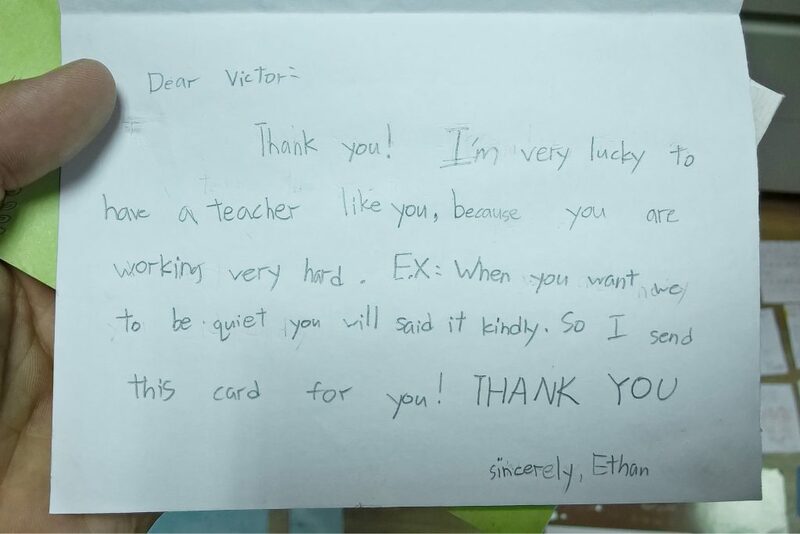 Now that I’m back in the United States, I still miss my students. They showed me so much love, grace and patience, and I cherish the relationships we formed. 1. In any situation, there will be numerous challenges, both expected and unexpected. Be open-minded, ready to learn and prepared to adapt to whatever comes your way. Even now, I’m still not sure whether God will call me back to Taiwan or somewhere else to serve long-term. I’m in my first semester of medical school, and I’ve determined so far that God does want me to finish my medical degree. As for what follows, I’ll have to see where He leads. Students in classrooms around the world are waiting to hear the gospel. Click here to download more information on how you can share the love of Christ through teaching and education.